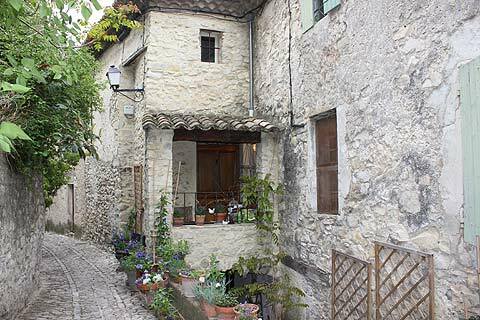 Seguret is a small village standing at the base of a steep hill in the Vaucluse department of Provence, to the east of Orange and at the western end of the scenic Dentelles de Montmirail region. Mont Ventoux is to the east of Seguret. Officially classified as one of the 'most beautiful villages in France', Seguret falls within the cotes du Rhone wine region, as seen in the number of vineyards in the region, and tourism in the village is partly based around the wine producing activity, with several opportunities available for wine tasting and visiting wine cellars in the vicinity. 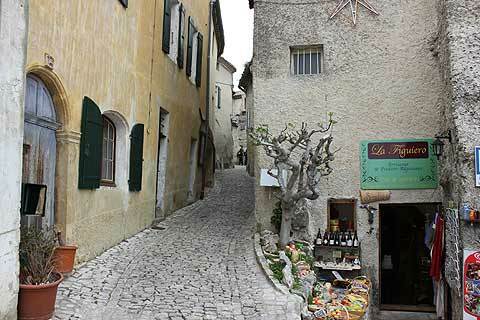 Seguret old town is entered by a cobbled street under an old stone archway, the Porte Reynier. Inside the gateway you will discover a very picturesque historic village with a great deal of character. 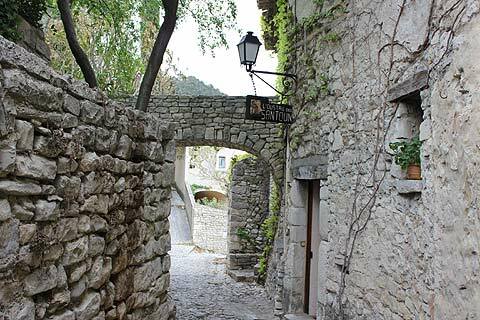 Traditional stone houses line the narrow streets, and there are also plenty of trees and climbing plants that also add to the appeal of the village, with something new to admire around every corner. There are several buildings and sights of particular interest in Seguret, including the small 12th century roman style Church of Saint-Denis and the Chapel of Notre-Dame des Graces, a belltower, the Mascarons Fountain and traditional washhouse, and various interesting details such as ornate doorways on many of the houses. The lovely, though tiny, main square is the focus of many of these interesting buildings as it contains the belltower, the fountain and the lavoir. The fountain is called the Fonaine des Mascarons and dates back to the 17th century. It is built in typical Comtat Venaissin style. The bell tower is also 17th century. From this square the delightful paved streets lead up to the church which is built into the sides of the cliff. Several places in the village have far-reaching views, such as the square in front of the church. From here you have you can see the Dentelles de Montmirail. 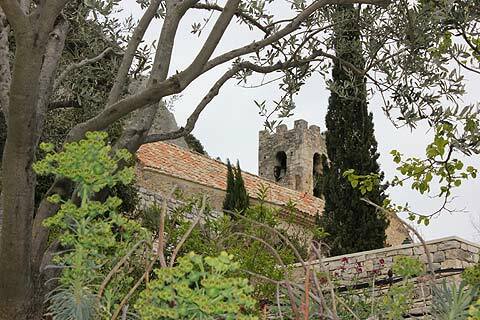 At the top of the hill behind Seguret the ruins of an ancient castle can be reached by a footpath, while walks through the vineyards and in the Dentelles de Montmirail are also popular activities with visitors. The walk to the chateau ruins is quite strenuous and takes a good 15 minutes or more and at the top the castle is very much a ruin and the views are quite obscured by large trees. About halfway up is a viewpoint and the views from here are good and unobstructed. If you are pushed for time head for this viewpoint rather than the castle. If you need to work off an excess of the superb Cotes du Rhone wine and provencal cooking then keep going - it is a pleasant shady walk. 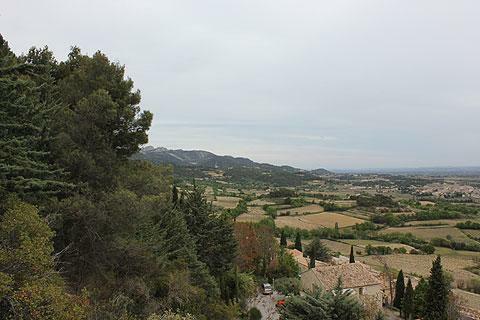 The area around Seguret is well known for the scenic beauty of the Dentelles de Montmirail and the chance to enjoy the natural environment but you also find lots of small traditional Provencal villages such as Vaison-la-Romaine and others that are less well known, as well as the highly esteemed Roman monuments at Orange to the west of here.